The house is thoughtfully designed to maximize its breathtaking view of the Gulf. The main floor has the kitchen, dining room, living room with DVD Player, sunroom, master bedroom with bath, an extra half bath, and a washer/dryer. The living room, sunroom, and master bedroom all have large sliding doors looking out to the Gulf. The master bath includes a Jacuzzi, separate shower, and bidet. The sunroom has a futon couch that folds down into a double bed. The main floor is tiled throughout. The other two bedrooms, which have their own full baths, are upstairs. One has a queen bed; the other has two twins. The ground level can be reached from the deck or via inside stairs. A ground-level foyer has plenty of room to store your stuff. There is an outside shower. Floor Plan: Ground level-foyer. 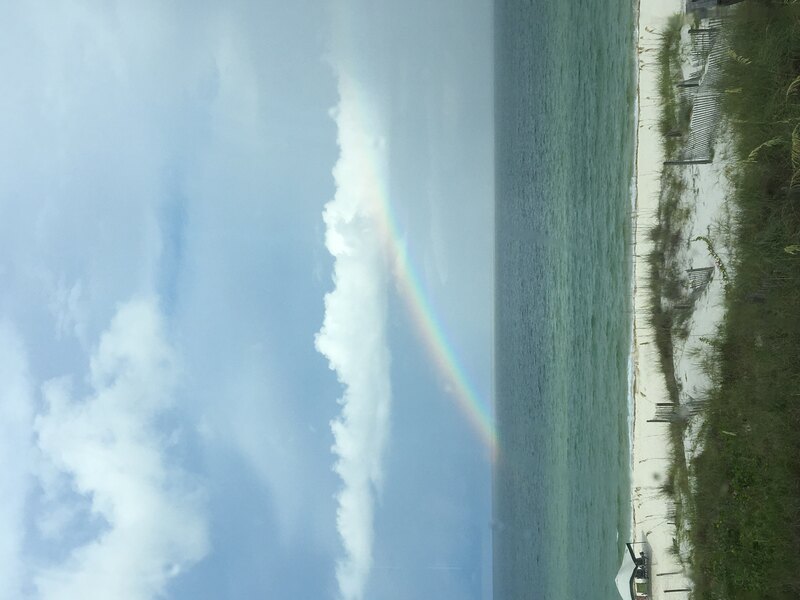 1st level-laundry closet, living room with access to gulf front deck, TV, DVD, 1/2 bath and fireplace; den with double futon, access to gulf front deck and stereo; and Bedroom 1-gulf front master bedroom with king bed, TV, full bath and access to gulf front deck. 2nd level-Bedroom 2-2 twin beds and full bath and Bedroom 3-queen bed, TV and full bath. Both have gulf views. We enjoyed our short stay at LaMer. Unfortunately we had to evacuate for the hurricane. We wish a quick recovery for all of those affected. Just wonder if the Cape will ever be the same. We stayed here in 2016 and loved La Mer. This year, we tried it again and loved it. The beaches are the best, the bay is easy access, and the house is so much fun. Wrap around glass allows ocean views wherever you are in the house. Beds are comfortable and the small room on the ocean was my wife's favorite to enjoy views and coffee every morning. If I could improve it, I would add a closed in out door shower. Outdoor shower is strictly for rinse. The Mason's! What an amazing trip! The location is fantastic. Our family loves the beach, playing in the ocean, collecting shells, scalloping and fishing and we able to do it all. We all experienced our first ever beach bonfire- and loved it! I love being able to just walk out and you are on the beach. We loved being able to each the fresh seafood and try out Weber's Donuts! It did rain heavily on the Sunday night with several leaks, rain was coming through the windows and wall on the beach side. So much that my daughter was standing in the room exclaiming that it was raining inside. We were able to mop it up and did report it. We will definitely be back. Great to hear about your stay and we appreciate all the great recommendations. 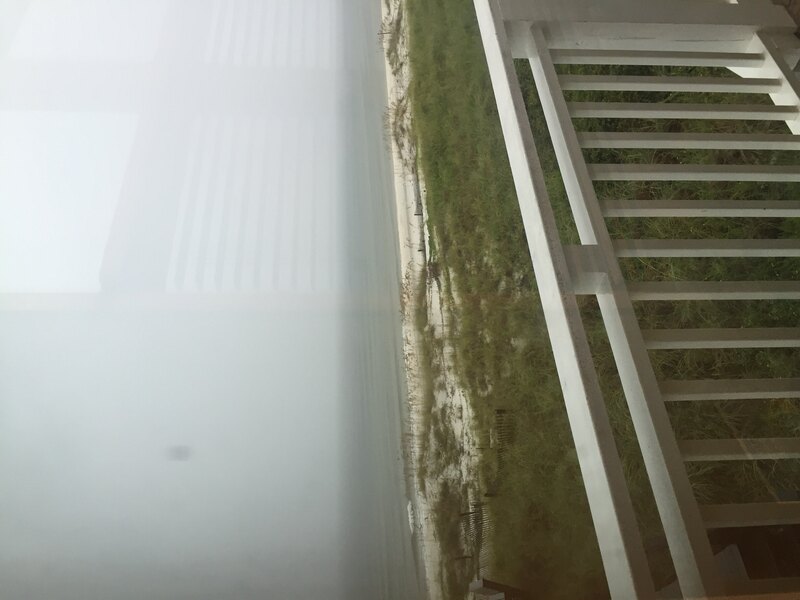 We appreciate the info about the leaks and wish that it didn't happen but many times in beach houses we have similar issues with strong storms but this is being addressed. We look forward to you staying again. We had a wonderful time . Really liked the Location., easy access to the house and Beach .. Only one thing the house needs blinds on the front side for the afternoon sun . Hard to cool the house with all the Sun beaming in .. In all We Would stay here again.. So glad to hear you enjoyed your time and we appreciate the feedback on the house. 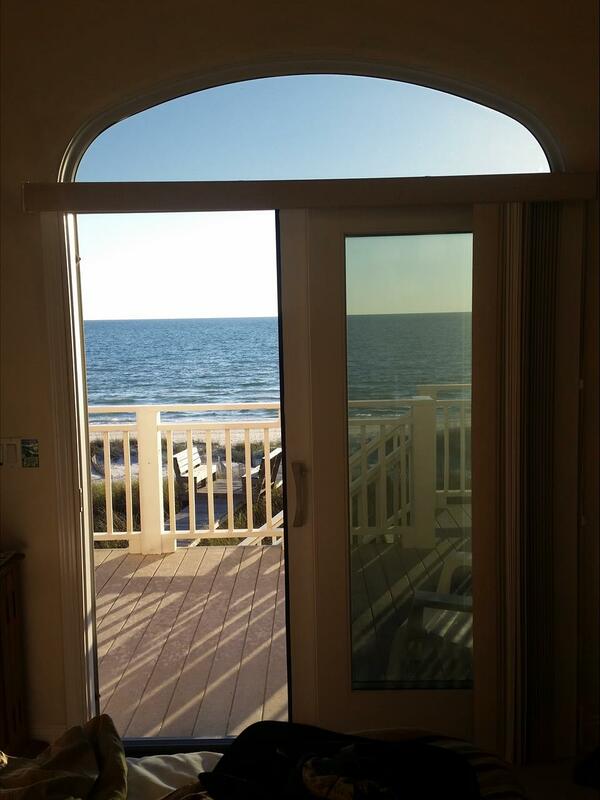 I know that many times owners prefer an unobstructed view of the water if they can get it but we'll certainly pass along your thoughts. We look forward to seeing you again. 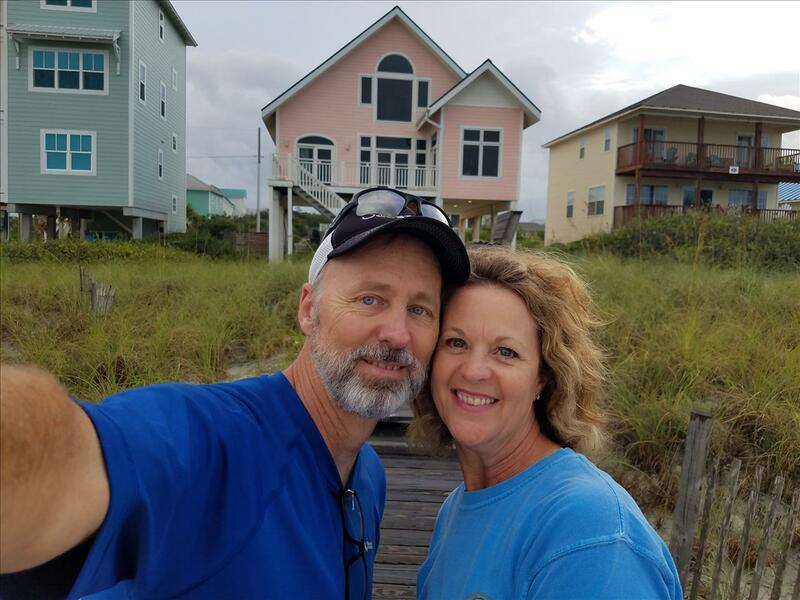 This was our first time staying at the Cape; we usually stay on Mexico Beach but we needed a bigger house. We loved it and will definitely be back. We stayed at La Mer. It was a nice house but it had a huge leak in the big top window. I sent in a maintenance message but I have yet to hear from them. The dishwasher does not work very well. Also, there was no blinds on the huge windows- not an issue during the day but at night the house was open for all to see. The beach was beautiful and it was only a short walk from the house. If you like seclusion, this house is not what you want. The beach was very crowded because there was lots of houses behind us and we had to "claim" a spot early. Just a lil FYI in case you want a bit more privacy. We will definitely return to the Cape again but will have to find a house with nothing behind us. I will say I like the set up of Pristine Properties. Check in and out was great. Didn't have to go to the office at all! This pic was taken standing inside the house!! We had an amazing time. The house and location are awesome. 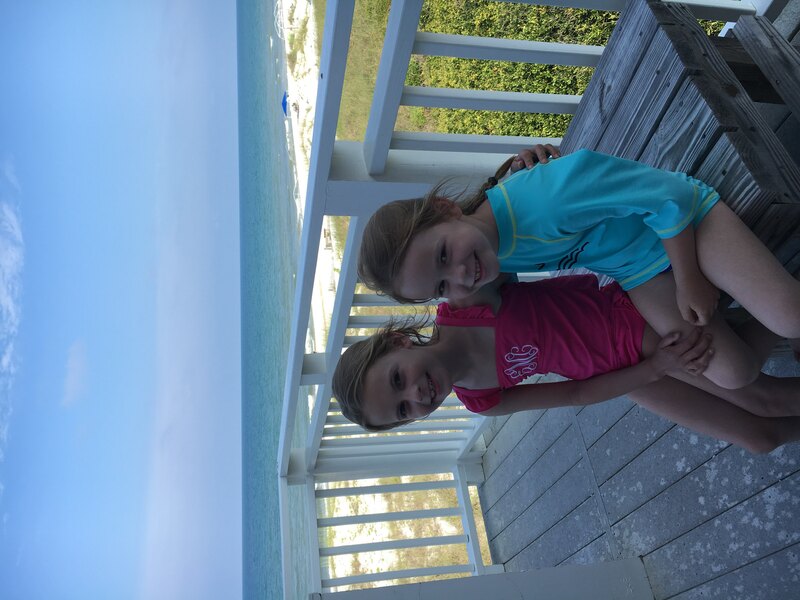 We enjoyed so much looking for sea shells, bonfires on the beach, FRESH seafood, discovering Apalachicola, making new friends, and just relaxing. Thank you. We will be back. LaMer's location was outstanding. Only steps from a beautiful part of the beach. The gorgeous sunsets could be seen from the deck and from the living room. We must have taken hundreds of pictures. We were also able to watch dolphins as they swam by almost daily. Our rating would have been a 5 star if not for the interior of the home. The house was very clean and the layout was good for two adult couples. The rooms were a little on the small side, but not really a problem. The beds were comfortable and if you listened carefully, you could hear the waves hitting the beach. The closets did not come with any hangers for our clothes, so be prepared. The furniture in the family room definitely needs to be updated. With the one sofa and chair, there really wasn't enough sitting room for 4 people. We moved the futon from the sun room, but it was so uncomfortable that we hardly used it. Another recommendation would be to upgrade the TV's. The family room and the master bedroom had small flat screen TVs, and the queen bedroom had a very small tube type TV. I was very difficult to see. The kitchen was well equipped and was also very clean. The management company was very helpful. They responded quickly to any of our problems and the maintenance men were polite and helpful. With upgrades to furniture and TVs we would definitely return to LaMer. 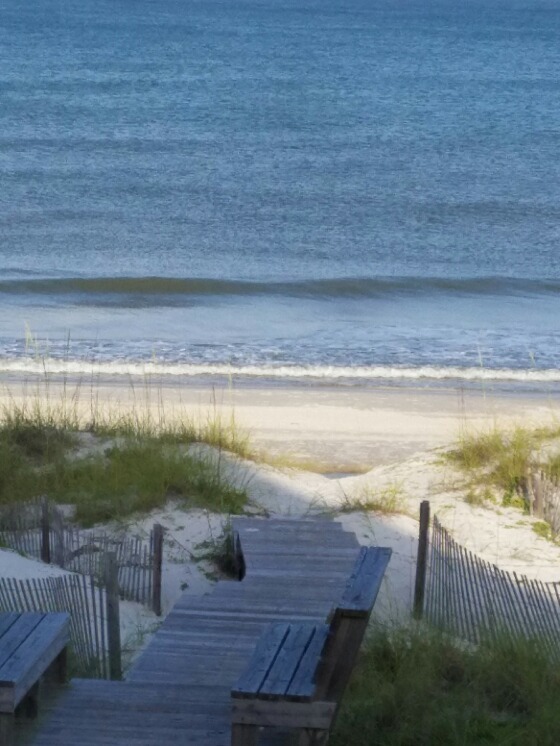 The house had great beach access and views and it was very relaxing, our family had a very nice time. Regarding the house - The house needs to be updated majorly - the refrigerator does not work properly at first (warm items or not...whatever the reason) nor did the dishwasher...ran on heat and didn't clean dishes, the toilet seats are falling apart and very worn, sheets and blankets are cheap and uncomfortable, the the west wall is stained from water issues. The home has potential and could be really nice yet needs to be updated and maintenanced!!!!!!!!!! Blinds need to be replaced missing vertical blinds, and patio furniture is old and broken. In need of spruce up! It's great to hear that your family had a nice time at La Mer. We also appreciate your feedback on the property. While we've not heard issues about these things from previous guests we certainly will looking into each of these items and pass along recommendations to the property owner. We hope to see you again come and visit our wonderful beaches. Beautiful home with a view of the ocean from every room! Clean beach that was never too crowded. Delightful town with great shops, restaurants, and plenty of things to do. We highly recommend this for your next vacation. This has been a wonderful vacation. 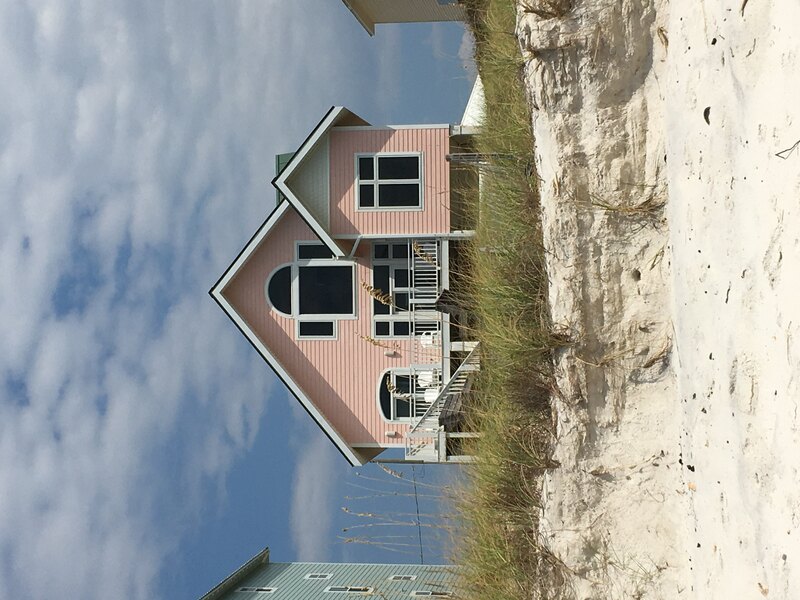 It was our first time visiting Cape San Blas and La Mer was the perfect house for our family of 4. Hope to visit again in the near future. This is our second time staying in La Mer and it was a great week! The house is very comfortable and worked well for our party of 5 adults and two children. The beach access is short and easy. The only thing we could have used were a few more kitchen essentials including bigger skillets. It was a great week and we would definitely stay at La Mer in the future!